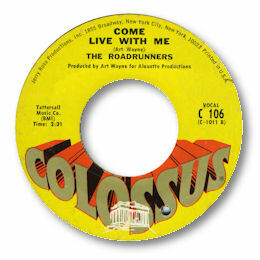 I’m pretty sure this is the only single by this obscure group on a New York label not noted for its deep soul– but what a treat Come Live With Me is. A wailing lead vocal full of gospel fire but he seems to be on his own - no harmony background at all. But what a great job they do from the subtle lead guitar through to a righteous and full bloodied horn section. The pounding uptempo flip shouldn’t be overlooked either – it has a wonderful gospel flourish to start with and a screaming hard lead vocal as well. Any further info on the group would be very welcome - they could very well be a gospel quartet.